We kindly inform you that this material is not available online anymore. If you wish to 3D print parts in CarbonMide, please contact our Sales team. The CarbonMide objects printed at Sculpteo are created from a fine black plastic polyamide powder (PA12) reinforced with carbon-fibers. The material is characterized by an excellent stiffness and a maximized weight-strength-ratio. The material is great for experienced professionals and people in need of a strong and lightweight material, and a very high 3D printing precision. Due to the process related orientation of the fibers, the mechanical properties vary in the three axis directions. The Z axis is is the less resistant compared to X and Y. To learn more about it, refer to the design guidelines. To learn more, refer to our paragraph about finishes and colors for polyamide models. Your CarbonMide object is estimated to arrive in maximum 16 business days. Delivery time should be added to processing time and depends on the delivery option you choose. The estimated shipping time is calculated automatically as the object is uploaded. Once you upload your 3D model to our website, it is received by a Sculpteo team member, who expertly places the model into the next available batch. The specific printer from which it will be printed is determined mainly by the dimensions of your object or batch, the larger prints being reserved for the larger printers. For CarbonMide, we use the EOS Formiga P396. SLS uses a highly specific laser that sinters thin layers of reinforced black polyamide powder together one layer at a time. After each round of lasering, the printing bed is lowered and another layer of powder is evenly swept across the top for another round of sintering. This process is repeated at a layer height of 100 µm until the object is completed. After the printer cools, the block of sintered black powder is removed from printer and the printed objects are removed by hand. A part of the powder that was not sintered is recycled back into the printer for a future print. The object is then brushed, which removes a large portion of the black powder, and sandblasted, which removes the fine black powder that the brush may have missed. CarbonMide is very similar to 3D printed polyamide as it is flexible, has a high impact resistance and is stable to every weather. The additional value of the CarbonMide is its lightweight. 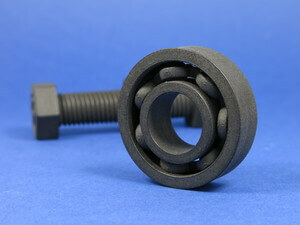 Carbon filled materials are great for parts that require high resistance and lightweight. Many applications can fit the material capacities: mechanical ( prototypes, geared systems, articulated objects, etc. 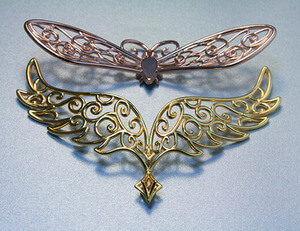 ), electrical, medical, ornamental, or even educational parts. CarbonMide parts are often used for aerodynamic components in motor sports applications. Technical properties of CarbonMide change depending on the thickness of your model. With a 0.8 mm wall thickness, your model will be flexible. With a 2 mm wall thickness, it will be rigid. Please check our polyamide blog post on elastic modulus measurements for more information on flexibility. With regards to water qualities, CarbonMide is water-resistant but not waterproof. Thus the 3D object must not stay in contact with water for extended periods of time. In terms of temperature, if the plastic is subjected to heat above 176°C, it is possible that the physical form of the object can be significantly altered. CarbonMide has an increased electrical conductivity compared to other polyamide materials. Furthermore, CarbonMide has an excellent resistance to chemicals, especially hydrocarbons, aldehydes, ketones, mineral bases and salts, alcohols, fuels, detergents, oils and fats. The somewhat rough surface of the CarbonMide objects can attract dirt. This can often be remedied with soapy water and a cloth, letting it dry thoroughly. The objects are coloured throughout their whole volume, which makes them well suited against scratches and abrasion. Your CarbonMide part is made from a black polyamide powder reinforced with carbon-fibers. This black polyamide powder is a mass-colored black polyamide 12 powder, which is optimized for the use as a laser sintering material. As a result, the part is coloured throughout its whole volume. Due to the process related orientation of the fibers, the mechanical properties varies in the three axis directions. The Z axis is the least resistant compared to X and Y. If you are an Expert User, be sure to orientate your model thanks to the customized orientation option regarding the stress and loads on your part. In the case you don't have access to the customized orientation option, you can contact our sales team to indicate how your part needs to be printed. To learn more about the customized orientation option, you can check this blogpost . The maximum size of your model is limited by the physical size of our 3D printers - nothing can be printed larger than the printer bed. The same goes for our polishing tanks - if it doesn’t fit, it can’t be used. There is no minimum size for CarbonMide prints, keeping in mind minimum thickness for walls and structural aspects, to ensure the object will not break is 0.8 mm. With a 1.5 wall thickness, your design will be slightly flexible. To obtain more rigidity, we advise you to choose a 2.5 mm wall thickness. 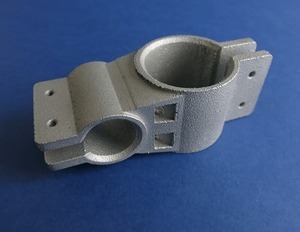 Our CarbonMide material has the ability to print the most complex designs of our materials. An example of a complex design is a volume enclosed within another volume, like a chain or maraca. Our 3D printers have the ability to 3D print a fully interlocked chain our of the printer, with no support structures to remove. Clearance should be at least 0.5 mm and depends on your objects size. For big sizes, the clearance should be greater. The heated zone of your object depends on the size, the larger the object the more time it will be exposed to high temperature: if the space left between the walls is too small, it will be weld because of heat spreading. In some cases, holes should be added to allow us to drain for the excess powder material within the clearance. 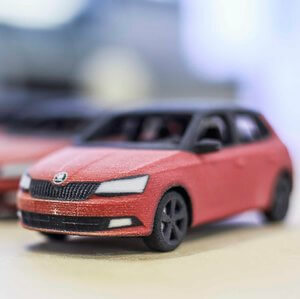 Objects printed in CarbonMide can be printed to be assembled, as long as a width of at least 0.5 mm is left between the different parts of the object.